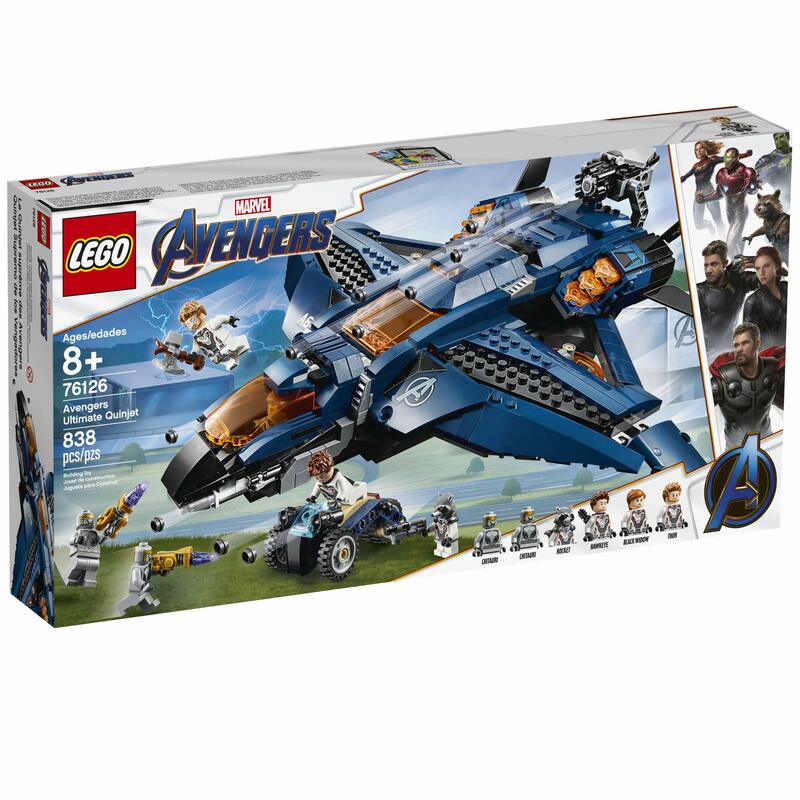 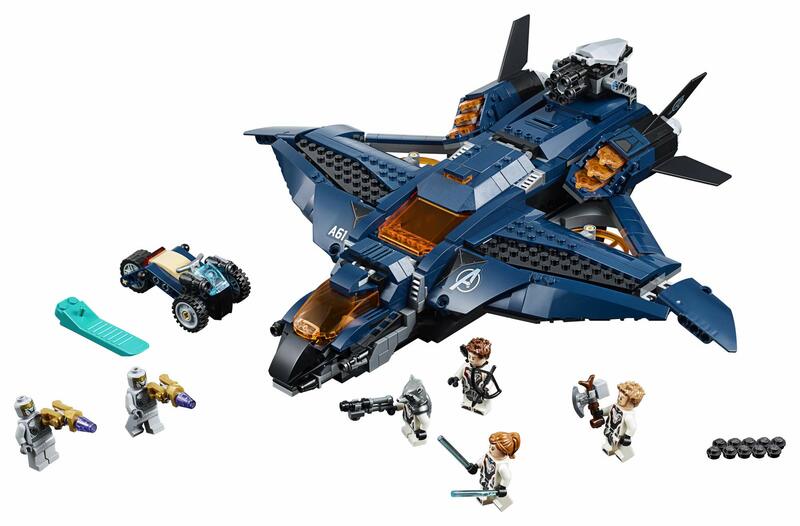 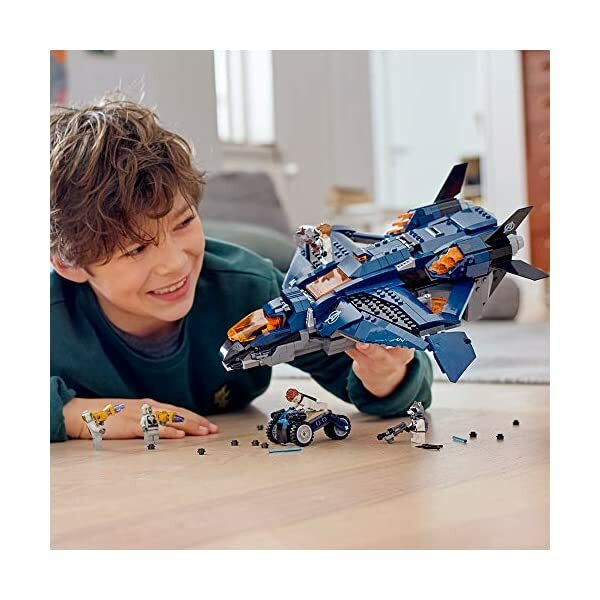 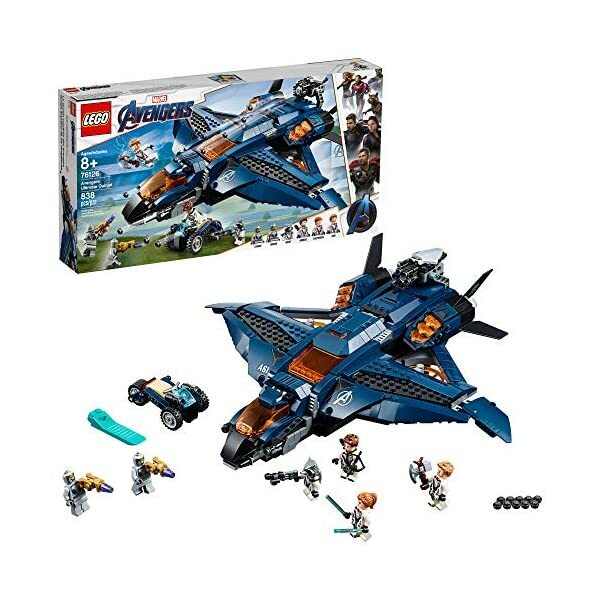 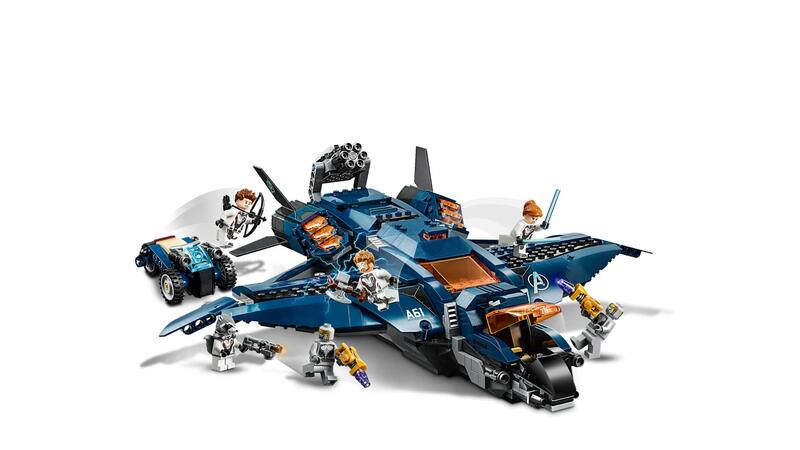 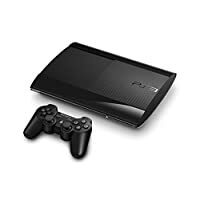 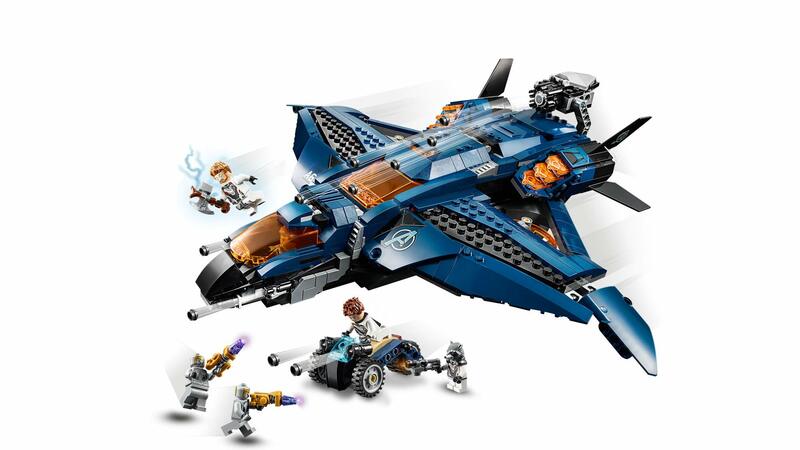 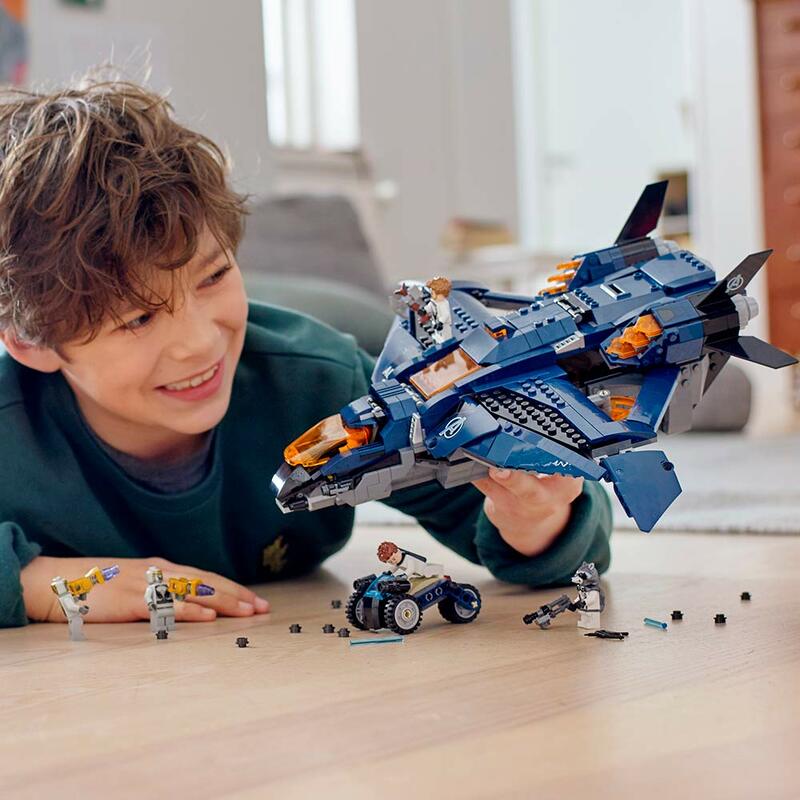 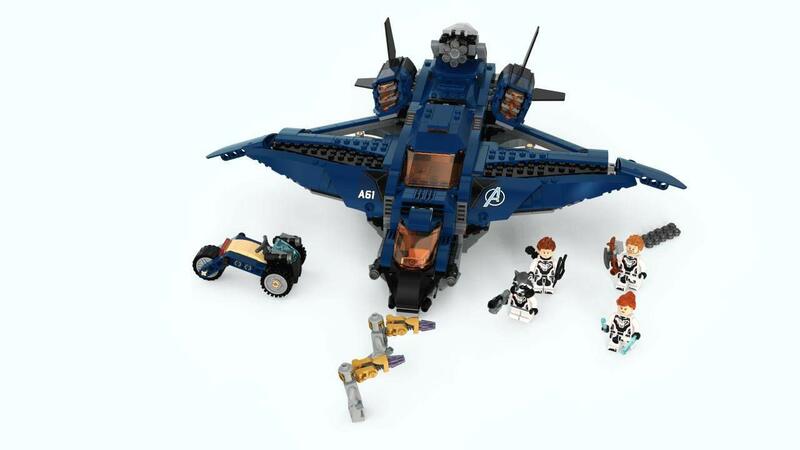 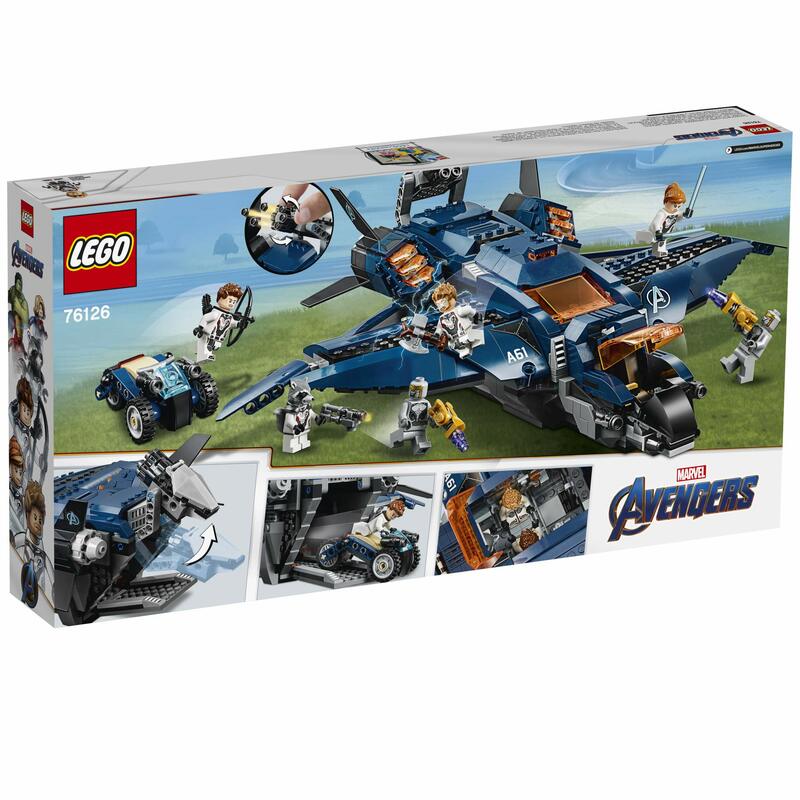 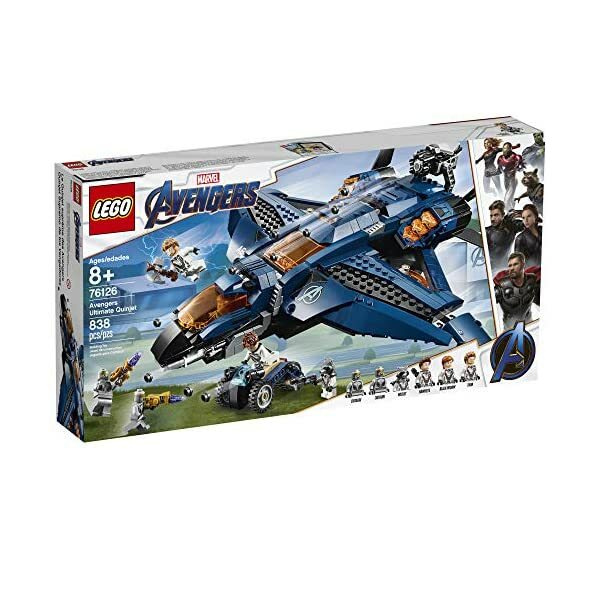 Team up with the Avengers and fly into conflict against the Chitauri in the LEGO Marvel Avengers 76126 Avengers Ultimate Quinjet. 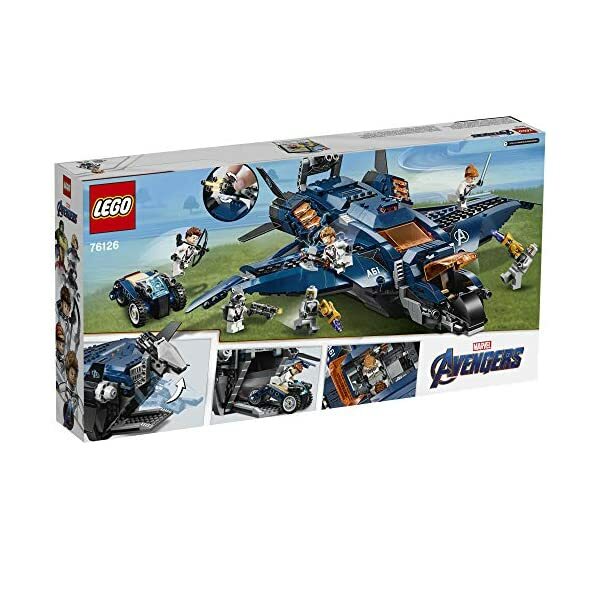 This awesome Marvel model features an opening minifigure cockpit, stud shooters, adjustable wings, spinning rotors, opening passenger compartment and an opening rear compartment with a fold-out 6-stud rapid shooter and stud-shooting trike. 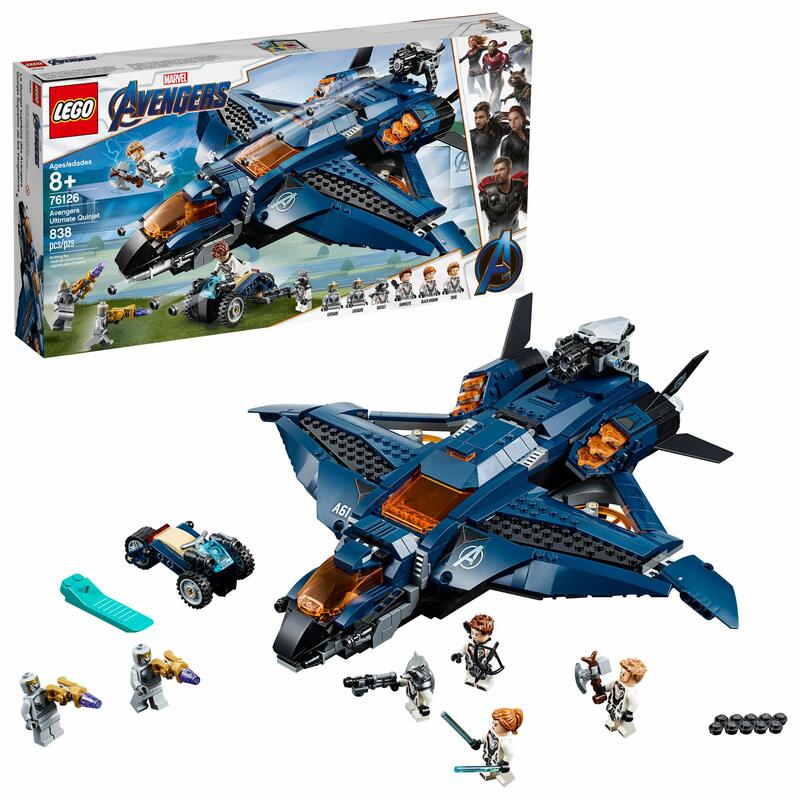 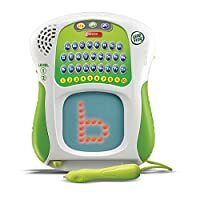 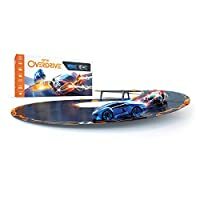 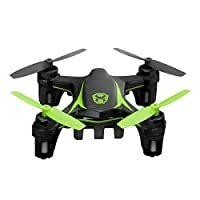 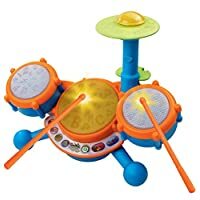 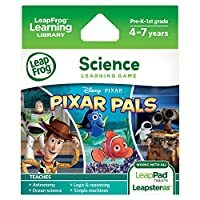 This cool construction toy for kids includes 6 minifigures—including Black Widow, Hawkeye, Rocket and Thor, all with new Avengers team suit decoration—and cool weapons for imaginative play and to recreate thrilling scenes from the Marvel Avengers movies.